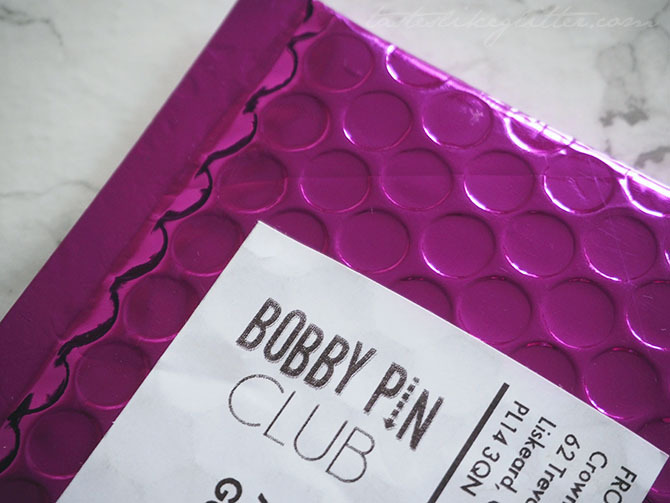 Crown & Glory Bobby Pin Club - May. I'm not sure how I hadn't heard of this before but it didn't come to my attention until I saw a post on the Crown & Glory Instagram page. When I heard that the designer for May was Nikki McWilliams I promptly signed up. If you don't know who Nikki is, she's a biscuit-holic and has a whole shop dedicated to her love for bickies and designing things. I've seen her pieces numerous times in the past so I was looking forward to my first pin. 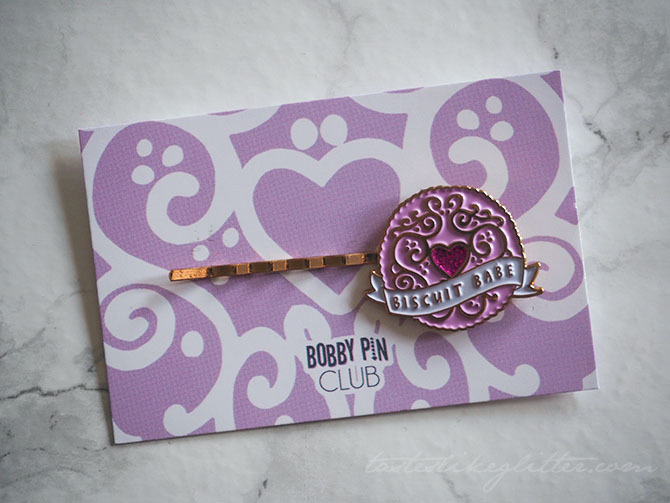 The biscuit inspired pin comes is a pale pink enamelled Jammy Dodger with a rose gold filigree design and a fuchsia glittery heart centre. 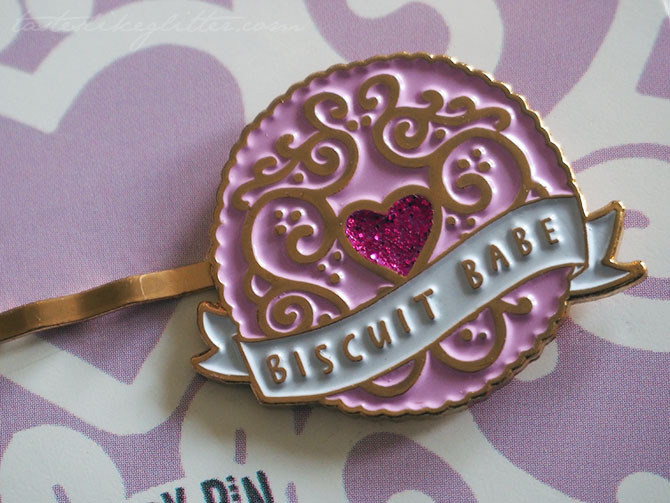 It has a white enamelled 'biscuit babe' banner, all attached to a rose gold toned pin. The pin is sturdy and weighty so it feels like it'll last a good amount of time. Since dying my hair back black I feel it can get a little boring. This is the perfect way of jazzing it up with zero effort at all. Just pin a piece of hair back and you're done! 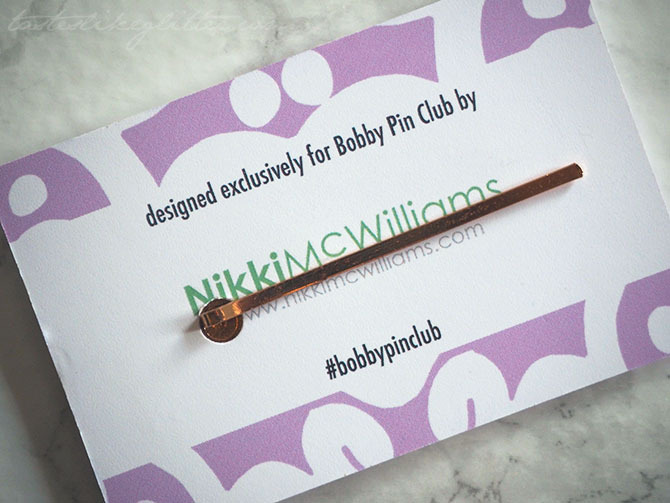 Whilst each pin is limited edition and exclusive to the Bobby Pin Club there is a very small amount currently in the online store for £6 plus delivery here. How To Fix A Broken Pressed Powder. Cuticura Cherry Shimmer Hand Gel. London IMATS 2016 - The Goodies. London IMATS 2016 - The Weekend. Alex ❤ Nikki - Happily Ever After.